The weather outside may be cold and dark, but Guerlain’s new spring release is anything but! Morning Love for Spring 2019, is full of pastel prettiness and guaranteed to brighten up your mornings. The range is said to be inspired by the soft morning lights and beautiful pastel skies full of luminous sparkles. It comprises three different products – a highlighting product, and eye and brow palette, and five new shades of Guerlain Kisskiss lipstick. 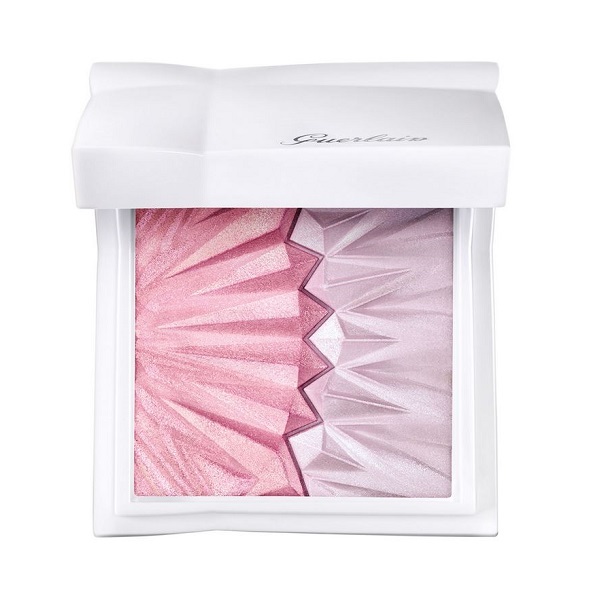 A stunning, shimmering illuminating palette featuring two complementing shades: pearly pink and soft lilac, which perfectly capture the light and has a holographic effect. This ultra-fine powder becomes creamy under the fingertips and blends over the face easily. The product is easy to pick up, so a little goes a long way! The product itself looks too good to touch, set in a beautiful white compact with integrated mirror and a 3d effect beaming sun and moon, just perfect for spring. 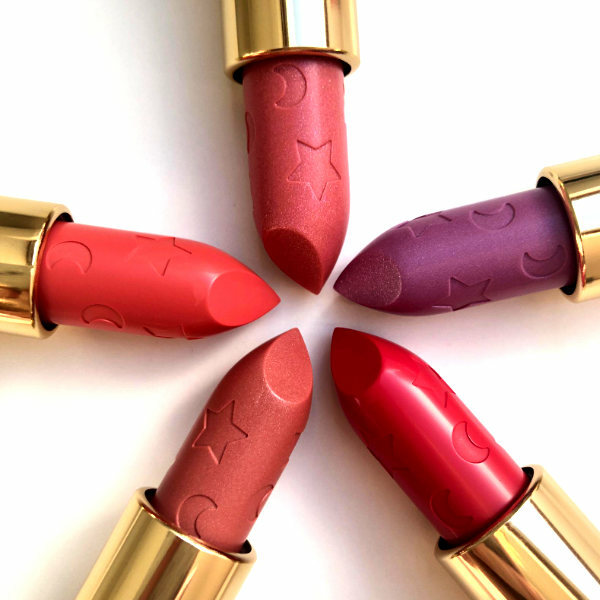 A creamy lipstick that perfectly shapes the lips and comes in five fresh shades. Two holographic pastels and three shades of satiny pink. All of these lipsticks are sheer and fully buildable, allowing you to achieve your desired depth of colour. The lipstick is presented in the traditional black lacquered case with gold detailing, and for the occasion the bullets are etched with the limited edition stars and crescent moons motif. The carved Moon & Stars in the bullet is a lovely limited edition detail. 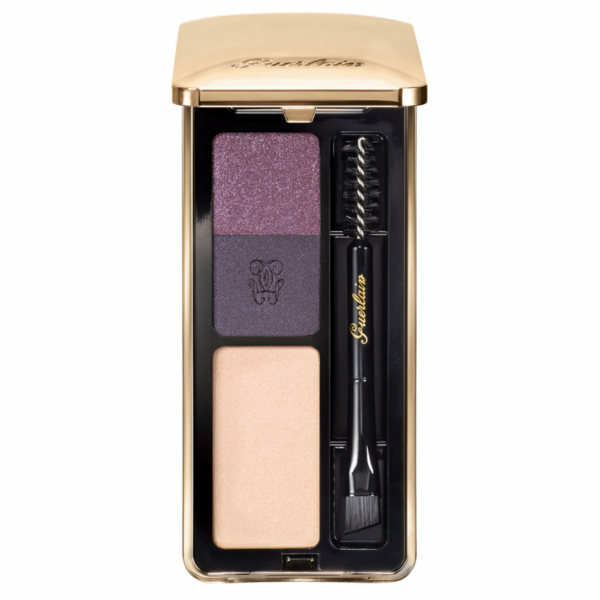 This limited edition two in one eye and eyebrow kit comprises of a pale gold highlighter and two purple eyeshadows, one shimmer and one matt. The highlighter can be used to diffuse any darkness under the eyes and creates a soft focus effect, helping to define the shape of the brows and accentuate the brow bone. The plum powder duo intensifies the eyes, or blend together for a real wow!